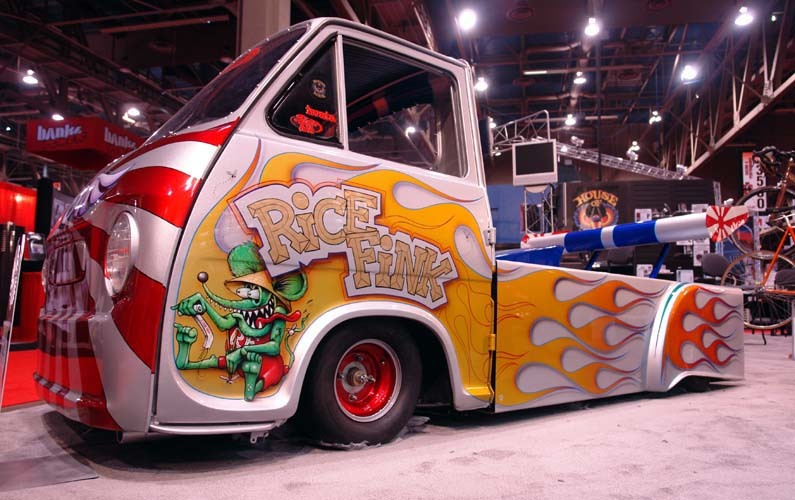 As you can see, the finished "Rice Fink" is pretty darn close to the concept rendering. 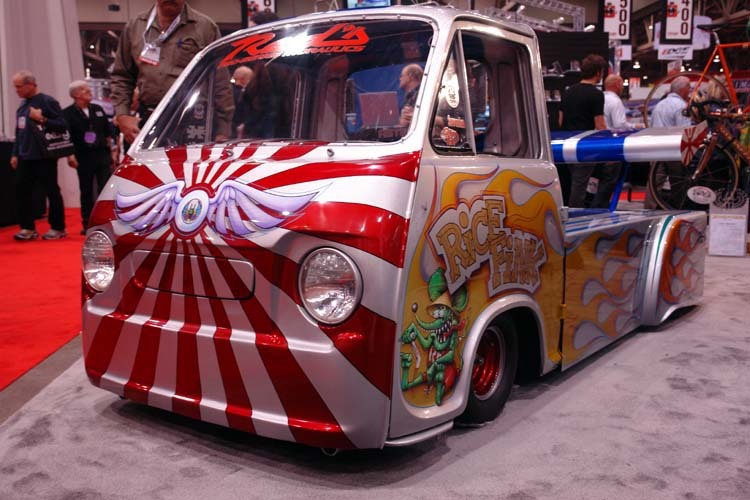 The base for this vehicle was the cab from a 1966 Subaru 360. The rest was hand fabricated by Dion Giuliano of Kal Koncepts, and Nino Brown of the Mob Shop. 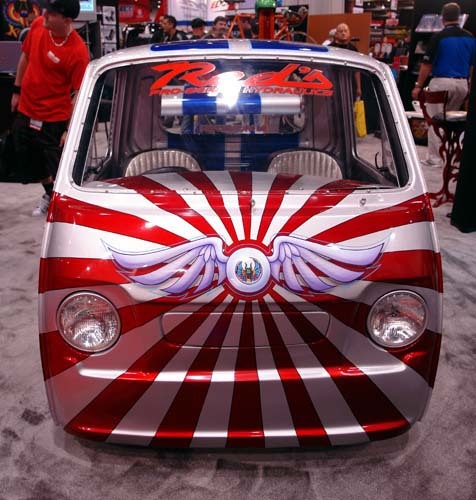 Powered by a 600cc Yamaha motor, and an 8 switch hydraulic suspension, this little car is a lot more then meets the eye. All colors on the Rice Fink are Kandies, applied over a silver metallic base. 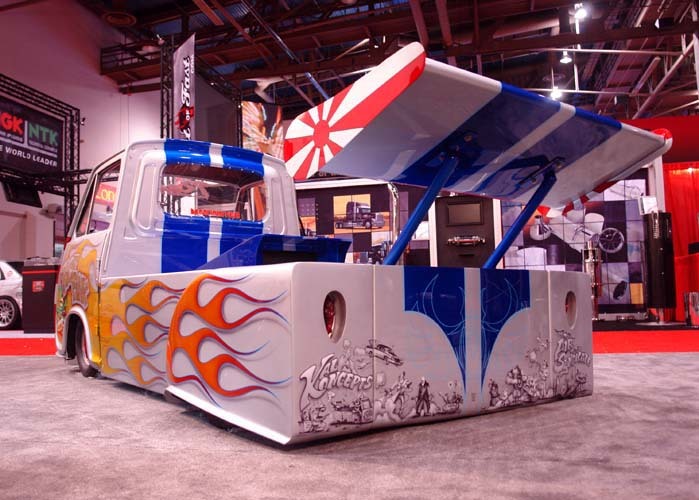 Bodywork by Lambie, Airbrushing, and pinstriping by Craig Fraser of Air Syndicate Inc.